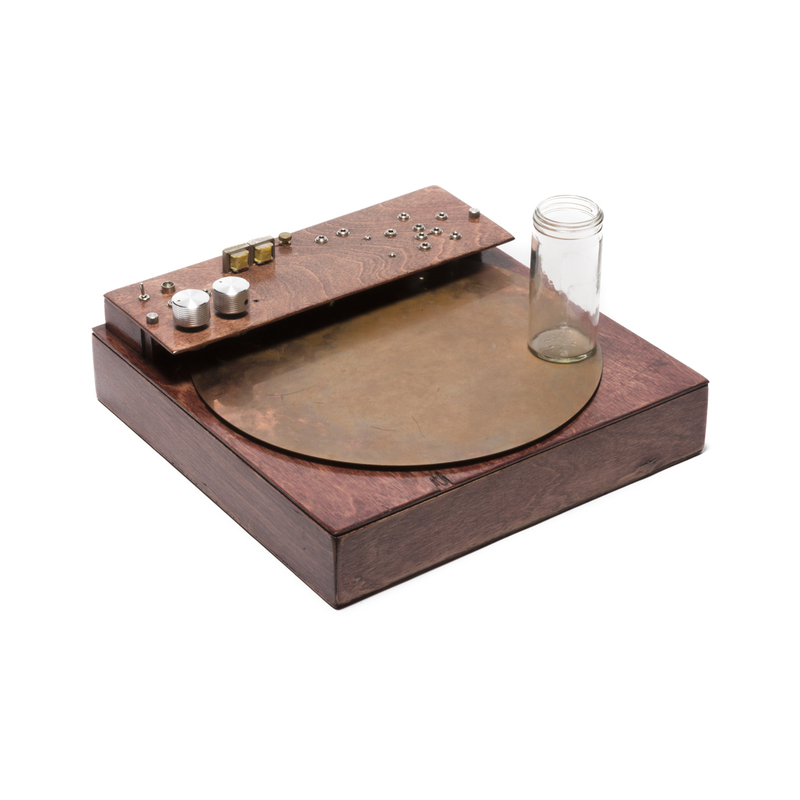 A physical signal processor that amplifies sound through a copper plate while simultaneously picking up sound through the same plate. Eight piezoelectric discs are affixed to the back of an 11” diameter copper plate. The device’s electronics allow two signals to be taken in, amplified, and driven through the plate using any two piezoelectric elements. The remaining six can be selectively used as microphones to pick up the vibrations of the sound in the plate at different locations. Internal normaling allows multiple elements to be combined internally. Physical manipulation of the plate and placement of objects on the plate can be heard through the copper as well as altering the sounds that are being played through it.